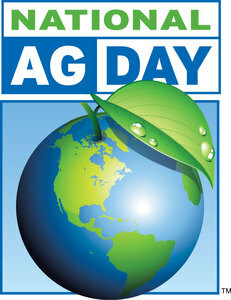 Celebrate National Agriculture Week in Darien! The week of March 10th, 2019 is National Agriculture Week to recognize the role of American agriculture in our daily lives and the efforts of those who shape the American food system. The average American farmer feeds approximately 144 people worldwide, and with agriculture being our number one export, agriculture is critically important to sustaining the U.S. economy. In Darien there are no residents with the occupation of Ag Worker. Connecticut has 1,804 residents that are occupied by the Ag industry. *all numbers represent residents over 16 years old currently occupied as a non-management working in the Farming, Fishing, or Forestry industry according to the American Community Survey.